Pop quiz skiers: what resort holds the world record for the biggest snowfall in a single season? I’ll give you a hint – it’s close by. In fact, it’s so close you could be swishing down the slopes in just a few hours. If you guessed Mount Baker in 1998-’99 with a whopping 95 feet, you know your snow. That enormous snow year was impressive, but also not completely surprising. Huge snow totals are pretty much the norm at Baker year after year. Don’t start too early – Spring often has daily cycles of freeze and thaw. The soft cheddar you skied the day before can ice up in the early morning. So sleep in, and give yourself an extra hour for the slopes to soften. Follow the sun – Start your day on east-facing slopes where the sun warms the snow first, and then move around the mountain as the shady runs begin to thaw. Ski as high as possible – The best snow can always be found at the highest points on the mountain. This is especially important during spring skiing. The best snow is in the backcountry – the best spring skiing has a soft uniform top layer with a solid icy base below. Unblemished carpets of corn snow are practically guaranteed outside the ski area boundaries. For experts with the right safety equipment, Mount Baker offers some of the most famous off-piste terrain in North America. And this season, the mountain has been walloped with storm upon storm, just like that record-breaking season. As of mid-March, the mountain had seen more than 500 inches of snow. 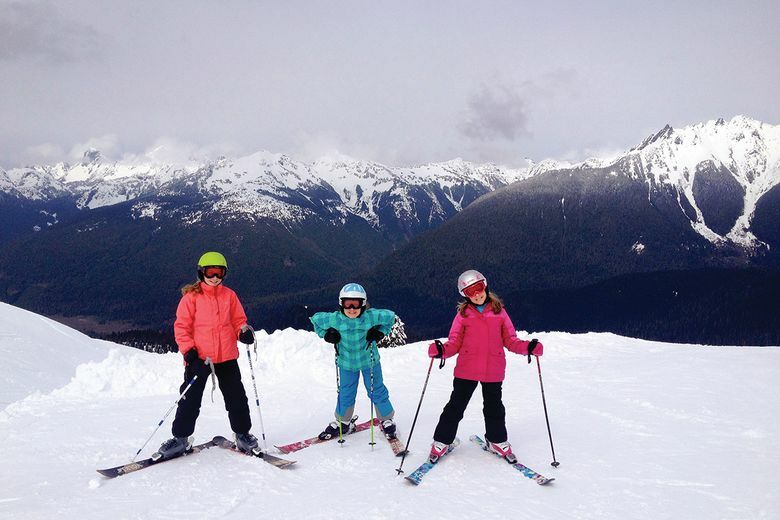 Mount Baker is setting up for some magnificent spring skiing, so don’t even think about hanging up those skis and boards just yet. Do you really want to give up on the pow right when things are about to get epic? Think about the sunny afternoons you can spend cruising velvety slopes, the untouched backcountry basins, the steep and deep bowls where feet of lush powder are ripe for shredding. Here’s what a typical spring outing looks like: big snow dumps at night followed by brilliant bluebird days. Forgiving soft snow in Baker’s basins lets you bounce and rebound in perfectly carved turns. Imagine playing hooky from work and grabbing a weekday session when all the kids are in school. While your co-workers are at the grindstone, you’ll be slicing effortless arcs in a high-speed dance. All that late-season snow can be yours on Baker’s slopes that are practically empty this time of year. Just you, a few friends and private power stashes all day long. Now let’s be honest, Mount Baker’s biggest drawback is that it takes a little bit longer to reach from Seattle. But that’s just an opportunity to turn lemons into lemonade. Whenever I can, I make a mini-vacation by adding an extra ski day (or three) while staying in nearby Bellingham. Unlike most ski resorts, Mount Baker is close to Puget Sound, so you can go from “ski to sea” in the same afternoon. In no time flat, you’ll be overlooking the beautiful San Juan waterways from a high-end hotel and toasting your day with a golden IPA. 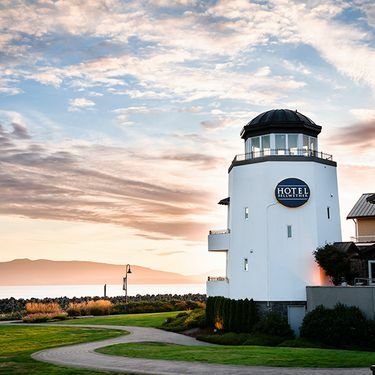 A great place to extend your ski trip is at Bellingham’s Hotel Bellwether – a place that was recently voted the No. 1 Luxury Hotel on “Evening Magazine” Best of the Northwest. The hotel is just over an hour from the ski area, on a stunning mountain drive. 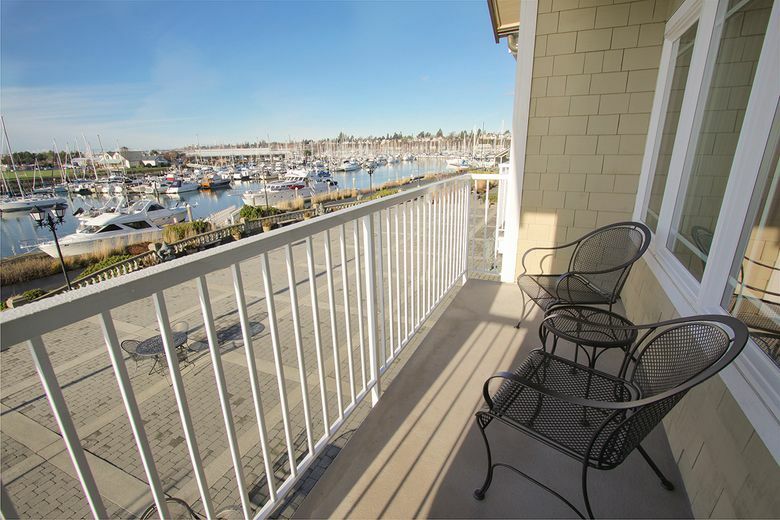 Now that it’s spring, you can arrive in time to catch the setting sun from your room’s balcony overlooking the bay. 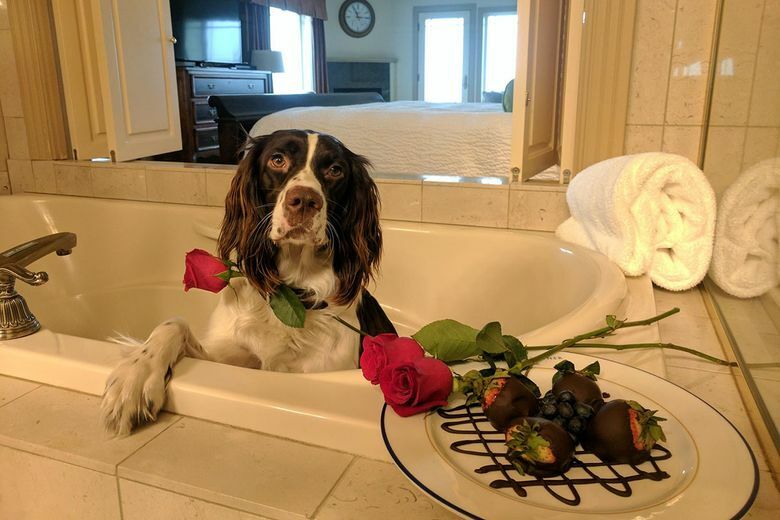 Unwind with a massage at the hotel spa or better yet, invite that attractive companion to join you for a dip in your luxury soaker tub. 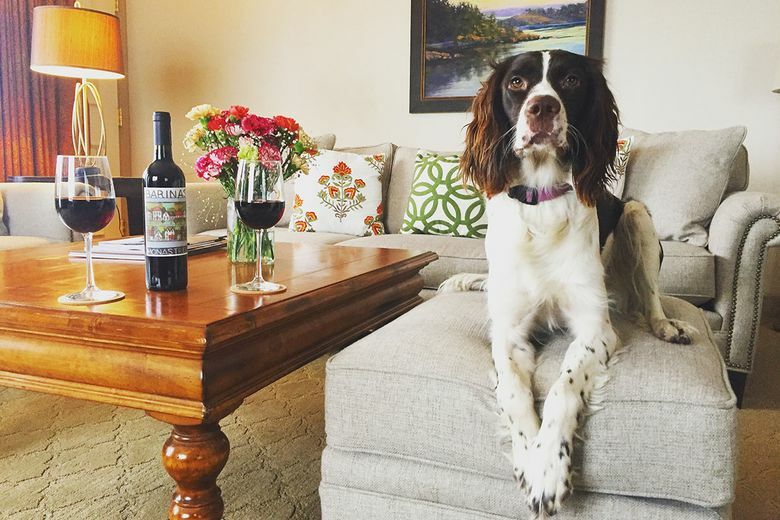 While others are schlepping back down I-5, you’ll be rejuvenating those tired muscles with a massage in your room, basking in front of a fire (every room has one) or taking the hotel’s French spaniel Bella on a stroll around pristine Bellingham Bay. 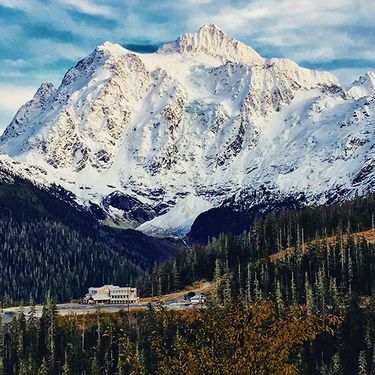 When you combine a heroic spring day at Mount Baker with a stay at a luxury boutique hotel like the Bellwether, you’re bound to forge unforgettable spring ski memories.